On his show, Mr. Rogers always strove to get some important message across. He addressed such tough topics as death, divorce and race relations. In a 1969 episode, Rogers famously welcomed actor Francois Clemmons, playing a black police officer, to put his feet in a kiddie pool together with Rogers. During a time when, in many places, black people were not welcome to share a swimming pool with white people, this was a radical statement. Rogers was not only a kind person who sought to teach good values—he was also a Presbyterian minister. When he was ordained in 1962, the United Presbyterian Church asked Rogers to continue serving children and families through the means of television, where he had already been working. His show wasn’t just educational or entertaining; it was also his ministry. 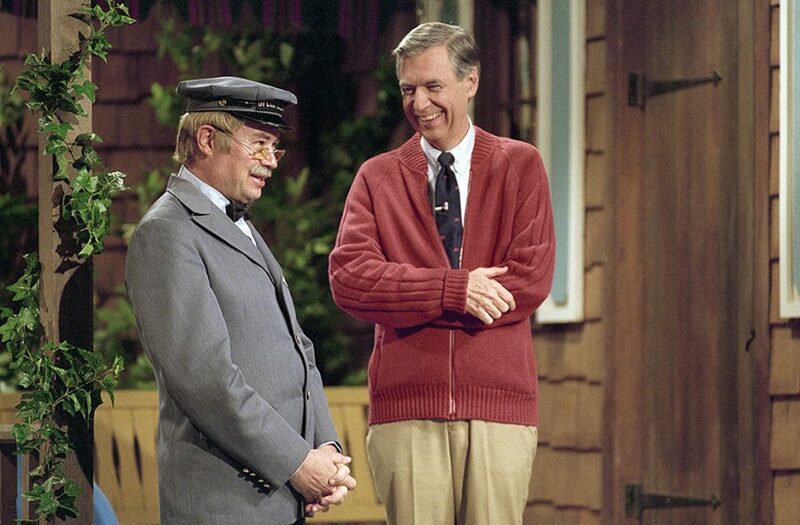 He used Mr. Rogers’ Neighborhood to make clear Jesus’ vision of who a neighbor really is. Sometimes it can be difficult to see how Jesus’ message plays out in real life—until we see someone like Mr. Rogers, who reminds us what simple love and respect for others can do for our world and our neighborhoods. In Luke 10:25-37, Jesus tells the famous parable that we now call “the good Samaritan.” Of course, the reason Jesus told this parable was because a lawyer, who was trying to test Jesus, had asked him, “Who is my neighbor?” Jesus answered the question with a wonderful story about crossing boundaries, doing the unexpected and not following how others behave. In the church today, we understand that everyone is our neighbor. Sometimes, though, it’s hard for us to live that way. Our world is still full of division and prejudice. We experience conflict in our world, our cities and even our own families. Sometimes the message of Jesus sounds unrealistic; although we want it to be true, it can be difficult to see how it plays out in real life—that is, until we see someone like Mr. Rogers. He reminds us what simple love and respect for others can do for our world and our neighborhoods. Most of us likely won’t have big a platform as wide-reaching as a TV show. But we can still love our neighbors as ourselves. Although the puppet characters in Mr. Rogers’ Neighborhood lived in the Land of Make-Believe, Rogers’ show was not make-believe. Instead, he showed us what kind of world our beliefs can make when put into action—one where all of us truly are neighbors. Lectionary blog: Who is our neighbor?